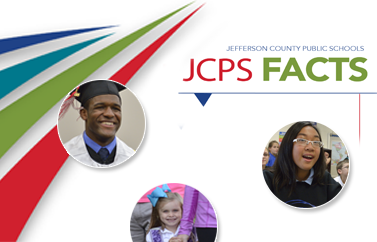 JCPS is committed to serving all members of the public, including people with disabilities. To the extent possible, JCPS strives to make our information and services accessible to individuals with disabilities and to remove any existing barriers to access. If you encounter a barrier when using our services or accessing our information, please contact the JCPS webmaster. Additional available resources include our Exceptional Child Education (ECE) Assistive Technology (AT) Center, which serves students who meet eligibility criteria for a disability in Kentucky. We also offer AT liaisons, who provide ECE students with services, including assisting children with a disability in the selection, acquisition, or use of an AT device as well as providing devices to improve accessibility on a case-by-case basis. For student accessibility of this website, email ECE or call (502) 485-3254. If you have questions or feedback regarding the general accessibility of this website, email the JCPS webmaster or call (502) 485-6991. Employees with accessibility issues can email Kristin Davis, Benefits manager, or call (502) 485-3436.